Digging into Utah’s uncanny appeal to outsiders. When meeting someone new outside of Utah, one of the first questions I generally am asked is, “Are you Mormon?” That often is quickly followed by questions about what is there to do in a state known for its conservative morals, religious zealotry, powder snow and ... hmmm, not much else. Thus, I am always fascinated that nonresident students elect to come to Utah to study. As of 2009, about 15 percent of University of Utah students were nonresidents, and 6 percent were international students. At Brigham Young University, 68 percent were nonresidents and 6 percent were international. University of Utah junior Jonathan Abbott, who hails from the greater Washington, D.C., area (Maryland, to be exact), said that the U’s big-school environment, the prospect of qualifying for cheap in-state tuition and opportunities for powder skiing were enough to get him out of metro D.C.
“I thought Utah was a sweet place to ski with a bunch of Mormons,” he said, but added that his perception of Utah has changed since living in Salt Lake City for two years. Before arriving here, he expected to be surrounded by LDS students. According to the environmental-studies major, Salt Lake City does not compare to the big cities he is used to on the East Coast. But what it lacks in big-city entertainment, he says, it makes up for in outdoor adventures. “The area around Salt Lake City is awesome because of the mountains and other outdoor activities, like the countless national parks and wilderness areas,” Abbott said. 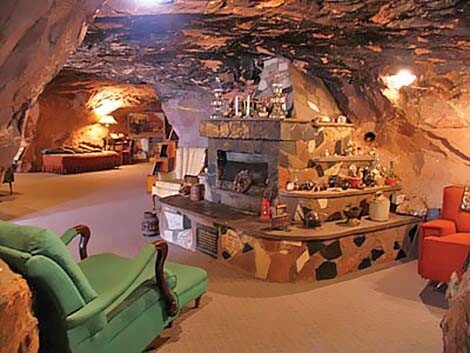 Here are some of Utah’s more hidden treasures that might impress even the locals. Utah’s sand dunes are one reason to be pleased about living in a desert. 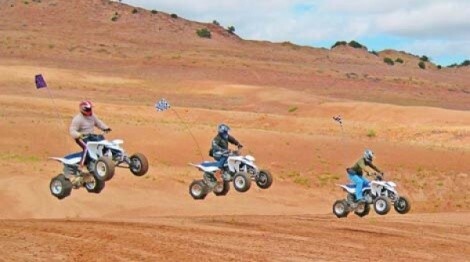 Located in the Sevier Desert in central Utah four miles west of the Jericho Junction, the 700-foot-high sand dunes are open year-round to visitors of all ages. Hike or drive up and down the hills of sand and stay overnight at any of four campsites—and hey, it’s on the way if you’re road-tripping to Vegas. Utah’s own Mount Rushmore features not only the face of Franklin D. Roosevelt carved into the mountainside, but also a museum, Rock Home, gift shop, exotic animal zoo, trading post and more. The Hole N’ the Rock is located 12 miles from Moab. Utah winters may deposit the best snow on earth on our mountains—but don’t forget about the ice fishing. Located 10 miles northeast of Croyden in the Ogden-Clearfield area, the 365-acre Lost Creek Reservoir is tucked into the mountains of northern Utah and features fishing and boating in summer and ice fishing in the winter. 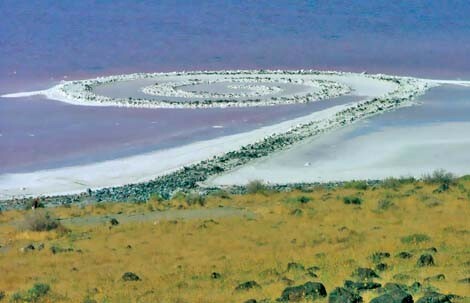 Created by the late American sculptor Robert Smithson in 1970, the Spiral Jetty is a man-made, spiral rock formation of mud, salt crystals, basalt rocks, earth and water. The 1,500-foot formation juts into the Great Salt Lake, and during droughts when it is not submerged in the water, you can walk the spiral path. Scuba diving in the mountains? Sure! 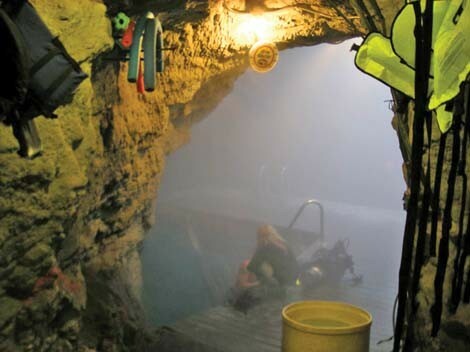 Warm azure hot spring waters, which lie within a 55-foot-high rock dome and can be reached by tunnel, provide for a relaxing soak, swim or dive. The 90-degree, natural mineral water pool is open seven days a week year-round and is just 20 minutes from Park City. Experience prehistoric times for yourself and hike alongside 200-million-year-old dinosaur tracks at the Red Fleet State Park, about 13 miles north of Vernal. Camping, fishing, swimming and more is also available at the reservoir—and don’t forget to visit the nearby Dinosaur National Monument during your trip. First settled in 1859 by Mormon cotton-growers, Grafton has long since been deserted. 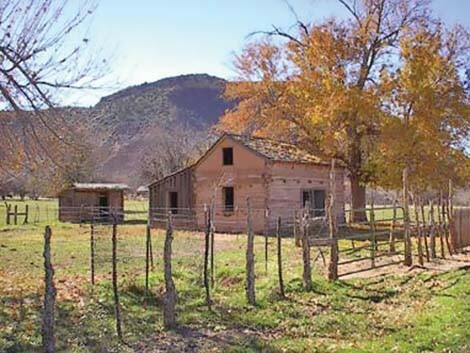 Many buildings still stand, including a schoolhouse, church and other houses that have been used in movies such as Butch Cassidy & the Sundance Kid. Stop by during your trip to Zion National Park.